Item description: Entry from a diary kept by Willard W. Glazier, who enlisted as a private in the “2nd Regiment of N. Y. Cavalry (Harris Light)” early in the war. He was captured by soldiers of the Confederate Army on 19 October 1863, and by November, was held at Libby Prison in Richmond, Virginia. 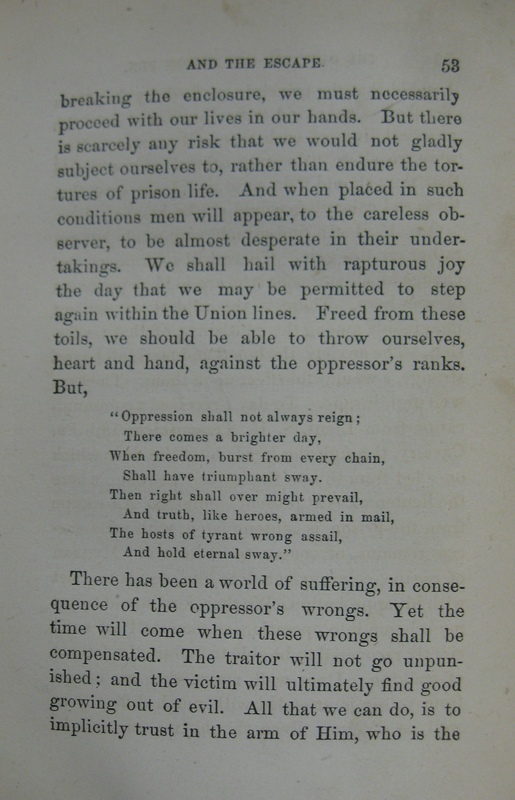 The description of his capture, life in various Confederate prisons, and his eventual escape was published in 1866. 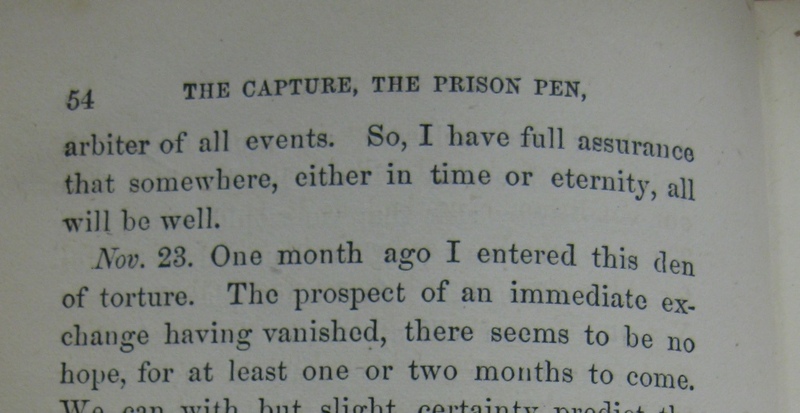 To read more from the The capture, the prison pen, and the escape…, click here. Item citation: Glazier, Willard W., 1841-1905. 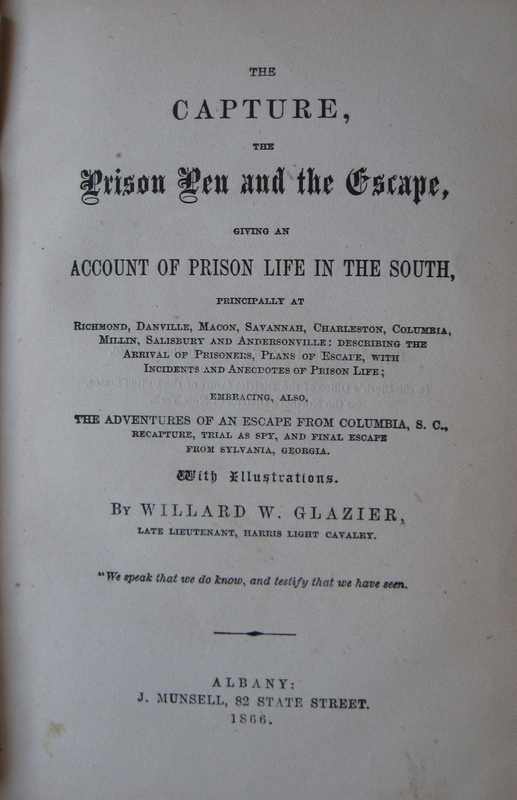 The capture, the prison pen, and the escape : giving an account of prison life in the South, principally at Richmond, Danville, Macon, Savannah, Charleston, Columbia, Millin, Salisbury, and Andersonville, describing the arrival of prisoners, plans of escape, with incidents and anecdotes of prison life : embracing, also, the adventures of an escape from Columbia, S.C., recapture, trial as a spy, and final escape from Sylvania, Georgia. Albany : J. Munsell, 1866. North Carolina Collection, Wilson Library, University of North Carolina at Chapel Hill. 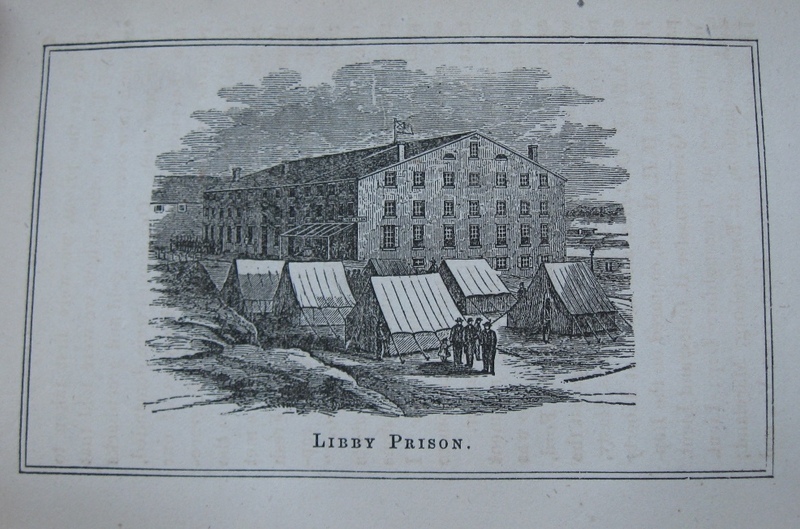 This entry was posted in North Carolina Collection and tagged 2nd New York Cavalry, disease, escapees, Libby Prison, prisoner, prisoner-of-war, prisoners, prisoners or war, Richmond (V.A. 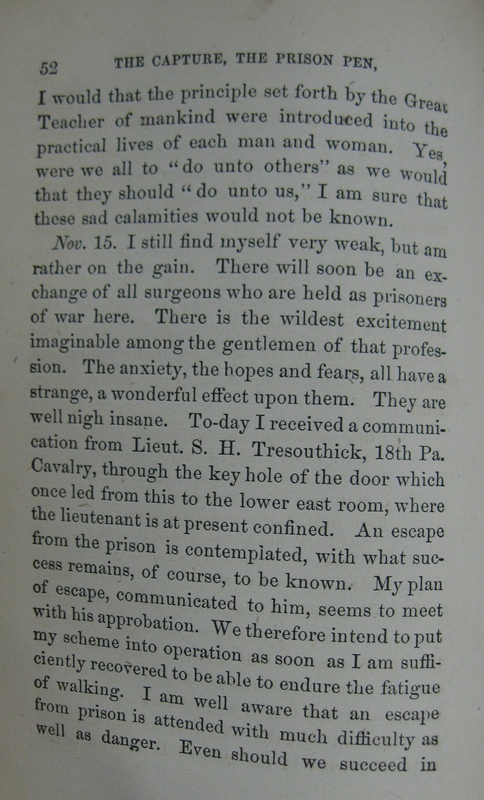 ), Richmond prisons, soldier conditions, surgeons, treatment of prisoners, United States Army, Virginia, Willard W. Glazier. Bookmark the permalink.